Internationally best selling author Joseph Delaney joins us today. His book, Seventh Son, hit the #4 spot in the Kids' section of the Barnes and Noble Nook store on January 17th, and it stayed in the top ten for three more weeks. 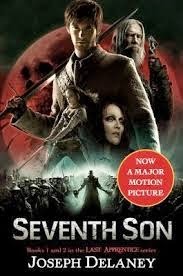 Seventh Son contains Book 1, Revenge of the Witch and Book 2, Curse of the Bane, of Joseph's Last Apprentice series (called The Spook's Series in the U.K.) It was released as a major motion picture in the U.S. on February 6th, and in the U.K. on March 27th. His books come with a warning: Not to be read after dark! First, tell us what Seventh Son is about. The world of the County is plagued with dark forces: ghost, ghasts, boggarts and witches. John Gregory, the Spook, has fought the dark for many years but he is growing older and he needs to find someone to succeed him. So he begins to train Tom Ward, who is a seventh son of a seventh son and has certain gifts, such as the ability to see and talk to the dead and some immunity against witches. But will he be brave enough to stand and face the dark? I spent over ten years being rejected. Finally, my agent found me a publisher for ‘The Spook’s Apprentice’. So my approach was traditional. The series has over thirteen books and the international readership has slowly grown. Of course, the film has recently helped to increase sales. I have my own website, www.spooksworld.co.uk; using the site I invite and answer readers’ questions and also blog keeping readers up to date. There are also publishers’ websites, (in the UK and USA) pictures on Instagram, reviews on Goodreads and a dedicated Facebook site. I think the book is the important thing and e-books and print are just alternative ways of accessing text. But from my own experience, I am aware that I read a lot faster when using a Kindle. It was an initiative by my publisher but I was very interested. I want to use every available format and device possible to reach readers. I am working on a brand new series called ‘Arena 13’ This is Science Fantasy and far different that the world of the Spook. I write full-time now and complete two books each year. At one time I used to get up a 6 am and write for an hour before going to work. I think e-publishing will continue to grow but rather more slowly. It could exceed print publishing but it will never totally replace it. People like to hold books and to build libraries of books collecting their favourite items to be displayed on shelves. At the moment it doesn’t hurt. But there are big questions to be asked. When somebody buys an e-book is that an extra purchase – something that would not have been bought otherwise? Or is it a replacement for a print book and is the author receiving less for the sale? There are also issues of piracy. I recently discovered a site where some of my books could be read for free. That can’t be right. Writing is a job like any other and if you work you deserve to get paid. I don’t think the e-format hurts my readers in any way at all. It may help some of them a lot. Some may enjoy reading in e-format whereas they would never dream of picking up a print book. For them it is natural to read alongside other activities such playing games, watching films or interacting within social media. Learn more about Joseph Delaney and his books his website, the Harper Collins website (where there are book-related games, contests and quizzes), or by following him on Facebook or Goodreads. See the latest Kids' EBook Bestseller List for more top ten e-format authors and their books. It's updated every Saturday morning. Check back next week when my featured author will be Sara Larson. 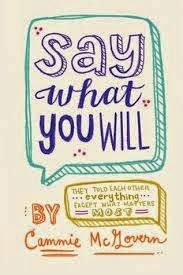 Kobo Kids and Teens Give a Top Ten Thumbs Up to SAY WHAT YOU WILL by Cammie McGovern. 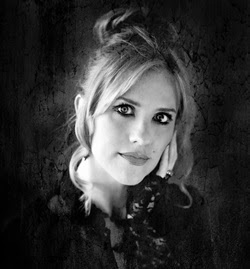 Today's featured author is Cammie McGovern. On January 3rd, she hit the #4 spot in the Kids' and Teen section of the Kobo store with her book, Say What You Will. This is Cammie's first young adult novel, after she wrote three books for adults. I was a “literary suspense” writer for adults with three novels before I wrote Say What You Will, a young adult novel about two teenagers with disabilities who fall in love. (Eye Contact is probably the most well-known, about a nine-year old boy with autism who witnesses a murder). 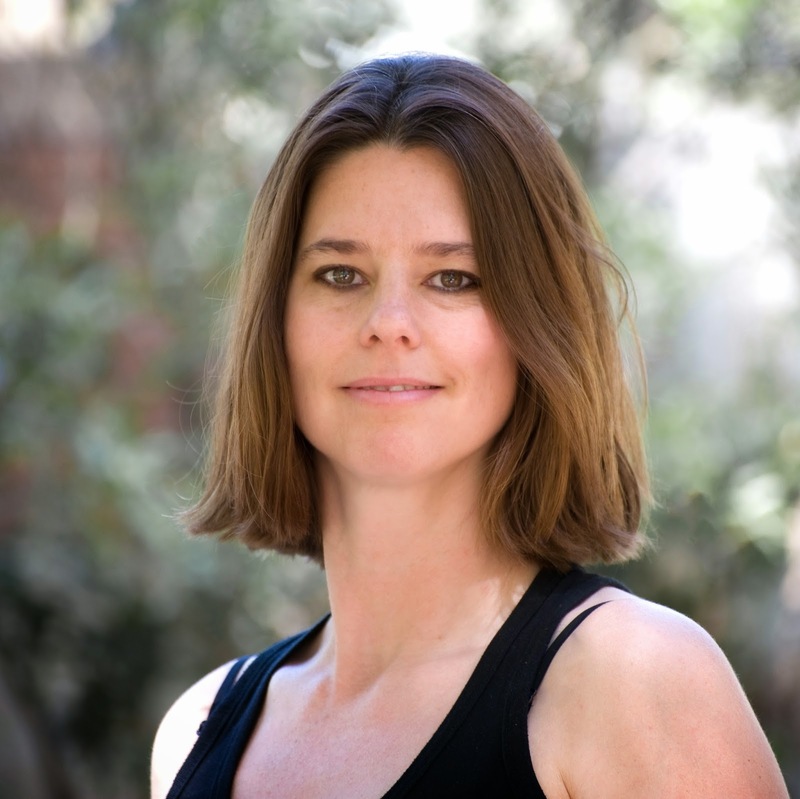 I got an MFA from the University of Michigan and was a Stegner Fellow at Stanford so my journey was more on the typical path for a literary fiction writer. I also have three children, the eldest of whom is autistic which has made me particularly interested in writing stories about characters with disabilities. Now that I’ve discovered writing for young adults and children, I’m not sure I’ll ever go back! All my books have been published in print simultaneous with their e-format. I’m grateful to have had the opportunity to work with wonderful editors and go through fairly extensive re-writing before my books are sent out into the world. That said, I’m in awe of some of the amazing books I’ve read that have been originally self-published e-books. Clearly this is a huge part of the future of publishing. To me, it makes sense that publishing for middle-grade and younger children is primarily print based. I have a sixth grader who much prefers print and has only read a handful of books on my e-reader. What surprises me, though, is that I also have a very tech-savvy tenth grader who still prefers to read in print as well. He does everything else on computer, so you’d think he’d gravitate toward that for books as well, but not so. I don’t think print books are going away any time soon. My hunch is that e-books are doing a great job of widening the market for many books and writers that avid readers might not have tried otherwise. How many of us late-night readers have bought books for $1.99 to help us fall asleep and then fallen in love with a story and a writer we would never have found otherwise? Say What You Will and my next book (A Step Toward Falling, due Oct. 2015) are both young adult novels featuring characters with disabilities, where the disability isn’t the central conflict of the story. As the parent of an 18-year old with autism, I’ve gotten to know many young adults with a wide range of disabilities and I feel like we need more stories about their lives—showing them in all their complexities. For all my son’s differences from his typically-aged peers, he’s more like them than many might assume. He wants friends, romantic relationships, a job, and some measure of future independence. Both are also realistic love stories, so my target audience is adults and young adults who appreciate those stories. I’m delighted that SAY WHAT YOU WILL has found an audience that goes beyond young adults and people with disabilities. I most love hearing from people who say how much they relate to the character’s struggles, even though they don’t have the same disabilities. Helps. By making books more accessible for all. I’m thrilled that e-format is making my book more accessible for everyone. Learn more about Cammie and her books at her website or by following her on Facebook and Twitter. See the latest Kids' EBook Bestseller List for more top ten e-format authors and their books. It's updated every Saturday morning. Check back next week when my featured author will be Joseph Delaney. On January 3rd, Ensnared, by A. G. Howard hit the #7 spot in the Kids and Teens section of the Books a Million e-book store. On her website, Anita says she "always wondered what would've happened had the subtle creepiness of Alice's Adventures in Wonderland taken center stage." That wondering led her to write her Splintered series. She joins us today to talk about her e-pub success, complete with a timeline of her path to publication. 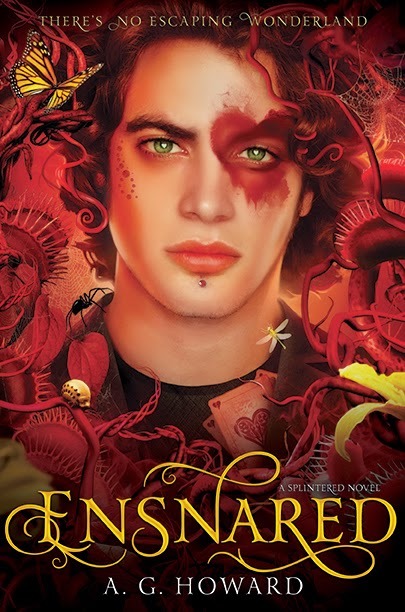 Ensnared is book three in the Splintered Series, my contemporary, gothic spinoff of Alice in Wonderland. In this final installment, Alyssa Gardner (Alice Liddell’s great-great-great granddaughter), ventures into AnyElsewhere—the violent and dark looking-glass world—to rescue her loved ones and defeat the vicious and maniacal Queen Red who has placed Wonderland under an evil spell. How did you get published? Traditionally or independently? Recently or further in the past? • March 2006 started querying my first novel. After 100 or more rejections, trunked it and wrote two more books. • July 2007, started querying my third novel and worked on the fourth one while it was out. • May 2008, signed w/my first agent on my fourth novel. She submitted the novel for one and a half years while I finished books five and six, which she turned down for being too fantastical. • December 2010, left Agent One after she wanted me to take the fantasy out of my seventh book, Splintered, my YA Alice in Wonderland spinoff. Started querying new agents immediately. • February 2011, signed with my present agent who loved the fantasy aspect of Splintered. • August 2011, went to auction and signed with Abrams for my Splintered Series. • January 2013, first book of the series, Splintered, hit the shelves. Yes, my publisher always releases books in hardback and ebook format at the same time. After the hardback has been out for a year, they’ll release the paperback version. My publisher sends me to events, and also does several campaigns online, but it takes a lot of work from the author’s end, too. An author has to establish a presence online if they want to get the word out and interact with fans. I have twitter, tumblr, a FB author page, a website, a blog, a GoodRead's author page, a YouTube account, an Amazon author page, and a pinterest board. I'm most active on my twitter, tumblr, GoodReads, and FB. For me, those four seem to be easier to balance. I interact with book bloggers and host a lot of giveaways and contests to get a buzz going about upcoming releases. There is a more detailed marketing strategy on my website HERE. You can learn more about A. G. Howard and her books by visiting all of her social media hangouts mentioned above. Here are the links: Website, Blog, Twitter, GoodReads, FaceBook, Tumbler, YouTube, Pinterest, and her Amazon Author page. See the latest Kids' EBook Bestseller List for more top ten e-format authors and their books. It's updated every Saturday morning. Check back next week when my featured author will be Cammie McGovern. THIS IS FALLING: A Top Ten Favorite with Nook Teens. Ginger Scott, the author of This is Falling, joins us today. Her book hit the number 3 spot in the Teen section of the Barnes and Noble Nook store on November 22nd. This is Falling is the first book in her Falling series. Ginger's debut novel (mentioned below) was released in the spring of 2013 and in the two years since then she has independently written and published six more books, with another one, Wild Reckless, due for release on March 17th! She joins us today to talk about her bestseller, e-publishing and she gives us a peek at her prolific writing schedule. First, let's hear what your book is about. THIS IS FALLING is the story of 18-year-old Rowe Stanton, a college freshman far from home, trying to force herself to take a leap of faith and re-enter a world that she fears she no longer deserves to be in. Rowe is a survivor, and she's barely able to remind herself to breathe. But when she meets fellow freshman and star baseball player Nate Preeter, she suddenly wants to try--more than she's ever wanted anything. And that scares her. Tell us briefly about your path to publication:Traditional or independent? I am an independent author. I spent years working as a journalist, reporting for newspapers, magazines and blogs, before moving into fiction. But writing high school and teen romance was always my dream. I wanted to write the stories I always loved to read, and I had notebooks filled with ideas I was too afraid to finish. I feared rejection, feared the painful and seemingly impossible route to traditional publishing, and feared that I would write something and nobody would notice or care. But that urge was overwhelming, and I didn't want to regret not trying my dream. So in 2013, I finished my first book--a coming-of-age love story that sat unfinished on my computer for longer than I care to admit. It was a very real, raw, honest and heartbreaking book about a girl with a boy's name and the popular boy she couldn't help but love. It was the exact story I always wanted to tell, and it was rich in character development. The book, Waiting on the Sidelines, spans four years of high school, and writing it was the greatest professional experience of my life. And I did it all independently, controlling the marketing, the editing, the distribution--learning every layer of the process. Being independent is a great amount of work, but I am so thankful for what I have learned, and I am now a big proponent of taking leaps of faith, especially when dreams are on the line. Writing is my favorite thing to do, so my inclination is to do it whenever and wherever I can. Before I published my first book, I spent my days telling true stories--interviewing real people, understanding their emotions, painting the fabric of their character. I think I have carried a lot of my journalism habits into my fiction, and I am thankful for the skills journalism gave me when it comes to character development. I still write constantly, and I have been fortunate to be able to make it my full-time job. I usually dedicate six to ten hours every day to a manuscript, either writing a draft, making edits or retooling something based on feedback from a beta reader. Sometimes, though, my brain gets divided. If I have a new release, which I had on Dec. 5, I dedicate part of my day to marketing efforts, including reaching out to bloggers, developing graphics, teasers and sometimes video book trailers. My digital media background has made it possible for me to do a lot on my own--and this can be both a good and a bad thing when it comes to a writing schedule. I think e-format reading is part of a natural progression. Technology is so deeply woven in our world, and it is exciting to see the ways it is affecting content consumption. I honestly believe anything that makes reading more accessible is a good thing for our youth. My husband and I read often, and I have been known to swap out sleeping hours for reading hours. My e-reader has made it possible for me to go to a virtual bookstore late at night, when my household is fast asleep, and pick a new world to get lost in. We recently got our son his first tablet, and he now has a few books on his Kindle app. One is a book he was reading in print at school but wanted to continue at home. Because we could download it easily, he was able to pick up right where he left off, and we didn't lose that hook of excitement he had for the story. If he had to wait until the next day, he might not have felt so urgent about the story. I didn't want him to lose that craving to read, and technology made connecting him with the story fast and easy. E-reading is only going to grow, even if it grows at a slower pace than previous years. It's a platform that our youth need to be familiar with, if simply to be able to navigate their way through the many e-content opportunities that are sure to pave their future. Find out more about Ginger Scott and her books at her website, or by following her on Facebook or Twitter. See the latest Kids' EBook Bestseller List for more top ten e-format authors and their books. It's updated every Saturday morning. Check back next week when my featured author will be A. G. Howard.